Psilocybin mushroom known as psychedelic mushrooms are those types of mushrooms which contain psychedelic mixtures of psilocybin and psilocin and the shared colloquial terms include magic mushrooms and shrooms. Its use is primarily as an entheogen as well as recreational drug, the effects of which includes euphoria, closed and open eye visuals, altered thinking processes, synaesthesia, and an altered sense of time together with spiritual experiences. The Biological genera comprising psilocybin mushrooms are inclusive of Copelandia, Galerina, Gymnopilus, Inocybe Panaeolus, Mycena, Pluteus, Pholiotina and Psilocybe with over 100 species that are classified in the genus Psilocybe. These Psilocybin mushrooms have probably been used since prehistoric times and could have been portrayed in rock art as well as pre-Contact historical materials and several cultures have utilised these mushrooms in religious rites. In the case of modern societies, they have been used for spiritual reasons and recreational purpose like mood lifting as well as psychedelic effects. The mushroom is considered to be one of the several over 100 species which are psychoactive causing hallucination and other trippy symptoms besides euphoria and these magic mushrooms have been used for long in Central American religious ceremonies which are now part of the black market in drugs in United States and several other countries and are considered as a controlled substance. Psilocybin is illegal in many countries and is considered a Schedule 1 drug with `high potential for abuse with no legitimate medical purpose in United States, according to the Department of Justice. The U.S. National Institute of Drug abuse states that long term negative effects like flashbacks, impaired memory and a risk of psychiatric illness have been defined in case reports and some individuals have been having frightening experiences when they are on psilocybin, experiencing terror reactions which could cause harm to others as well as to themselves. According to David Nutt, profession of neuro-psychopharmacology who leads the Imperial College team and formerly drug adviser to the UK government, states that a number of mental illnesses like obsessive compulsive disorder – OCD and depression are linked with excessive connectivity of the brain and the default mode network tends to get over-connected. The over-connectivity described by Nutt causes depressed individual to get immersed into reflexion and concentrate on negative thoughts about themselves and `by disrupting that network one can release them from the depression symptoms by showing a possibility to escape those thoughts. According to Dr Robin Carhart-Harris of Imperial College, London, he states that only by losing the self, can one find the self. People tend to run away from things in order to forget but with psychedelic drugs, they are forced to confront and take a look at themselves’. The drugs referred to by him are hallucinogens like magic mushrooms, especially the active chemicals in them, psilocybin. He states that they are in the process of identifying the biological basis of the reported mind expansion that is associated with psychedelic drugs. 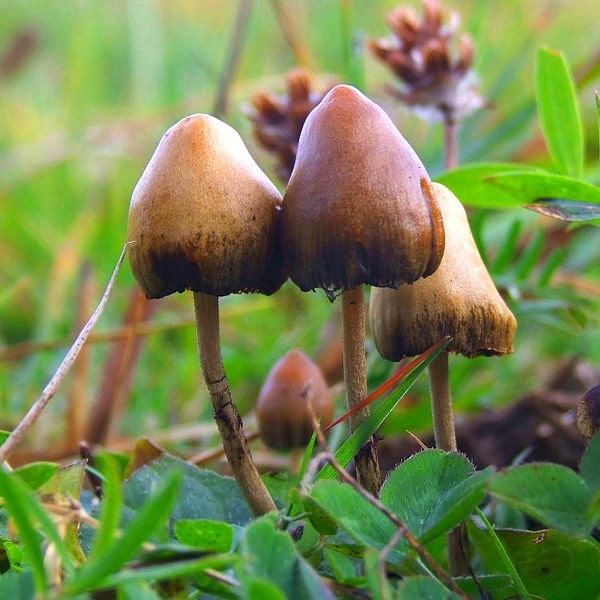 Psilocybin is not addictive and seems interesting to researchers due to its ability to make individuals envisage the world in a different manner and the team at Imperial College have started to untangle the reason for the same. Carhart-Harris scanned the brains of around 30 healthy volunteers and injected them with psilocybin and noticed the more primitive regions of the brains associated with emotional thinking in getting more active and the brain’s default mode network, associated with high level thinking, self-consciousness as well as introspection, which tend to get disjointed and less active. The new research had only touched the surface of the brain and its consciousness where according to Nuttthe `brain is about organizing information as well as predicting the external world and that they think psilocybin disrupts that making it more chaotic. People have hallucinations because instead of seeing the world as the brain expects it to be, they tend to see what the brain is doing’. This chaos could possibly treat depression as well as addiction like smoking and alcoholism which seems to be the topic of some of the earliest lessons on psychedelics in the 50s and 60s prior to the introduction of laws against drugs. Professor Roland Griffiths from Johns Hopkins School of medicine explains that `with psilocybin, people tend to feel reorganized, after the therapy and the nature of the reorganization is that there are effects on attitudes towards addiction’. The mechanism behind the change is not completely comprehended though the therapy is considered to increase the motivation as well as self-efficacy, instilling more confidence in the ability of the person to quit. Griffiths assumes that `the default-mode network connected to habitual pattern of behaviour, whereby decreasing activity in the system could free them to think differently and that people state that addiction is not compelling anymore’. Michael Bogenschutz of the University of New Mexico has similar small scale studies on alcoholism and has promising results with great improvements in people after they had received psilocybin instead of counselling session. He stated that `the degree of improvement was correlated with the intensity of the subjective effects of psilocybin’. Psilocybin therapy is still way behind from being accepted on a wide scale and trails are needed to be conducted on a larger scale in controlled settings. Dr Owen Bowden-Jones of UK’s Royal College of Psychiatrists comments that `the early research is promising but further research is needed’. According to World Health Organization, depression is said to affect over 350 million people all across the world and the present pharmaceutical method of treatment is with selective serotonin re-uptake inhibitors – SSRIs like Prozac which tends to increase levels of serotonin in the brain thereby improving the moods, though SSRIs may not be effective in all cases or it could take time to show results and are generally prescribed for long periods of time to obtain the desired results. Nutt is of the opinion that psilocybin could be a game-changer and could be used as a part of therapeutic package where mind altering and confronting nature of psychedelics could be a combination of therapy in treating people within one or two doses of treatment. He states that they had never had drugs earlier with instant effect and this could create an example in helping people in a different way of thinking which they can consider staying in.He stresses that psilocybin to be administered with specialised support as a part of medical therapy.